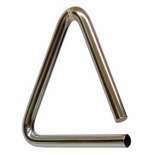 Allen Abel Triangles produce a tone that has become a standard of excellence among performers, teachers and students. Mr. Abel built a performance and education career spanning decades. 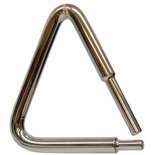 Abel's predecessor at the Philadelphia Orchestra had a one of a kind hand crafted triangle that produced a unique tone that was coveted by his piers. 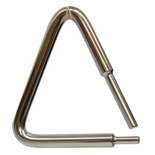 Alan Able found a way to reproduce the manufacturing technique used in this one of a kind triangle thus delivering the classic tone in his line of triangles.